P-51D from Hasegawa kit c. 1980, started at the time (rescued from Shelf of Doom). Crudely dropped flaps. Alclad II coatings with BMF Ailerons and flaps; Testors enamel OD. Decals scrounged or ptrinted at home. 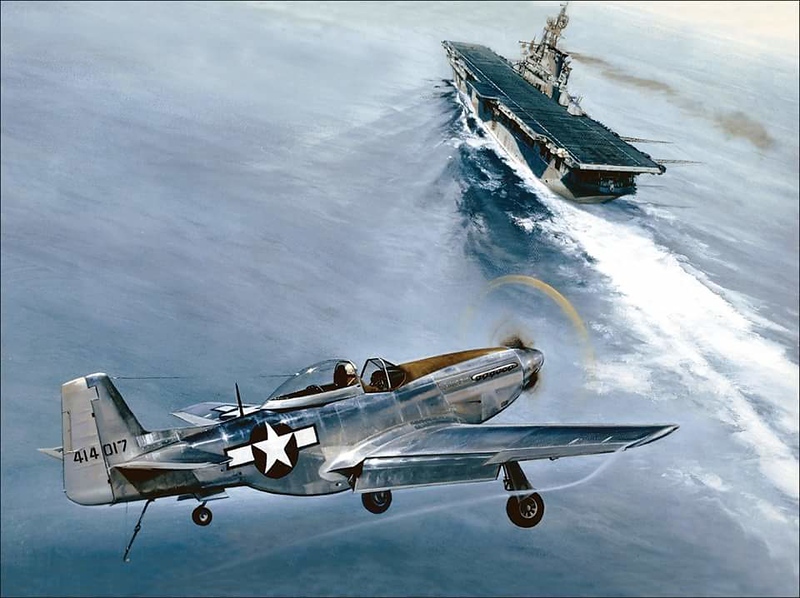 Represents P-51D-5-NA 44-14017 as flown aboard USS Shangri-La November 1944 by Lieutenant Bob Elder for carrier qualification trials.